Should have 3-6 years of experience in automation. Must be proficient Selenium Webdriver. Must have knowledge of Java. Must know RESTful / SOA web services. Resource should have minimum 4 years experience in HPE tools Load runner. Resource should have 3 years experience in app dynamics. Resource should know Agile Team Practices. HP Load Runner skill is must Agile knowledge and DevOps skills expected. Should have experience in Test scripts design using tools such as Selenium, Python, UFT. Lead the testing effort and/ or team to plan, construct and execute release tests. Apply testing methodologies, principles and processes to define and implement key metrics to manage and assess the testing process including test execution and defect resolution. Apply business and functional knowledge to meet the teams overall test objectives. Coach and advice testers as required. Extensive knowledge of the functionality and business application of TI FusionBanking Trade Innovation Extensive industry knowledge. Must Have Skills: Machine Learning. Good To Have Skills: Natural Language Processing (NLP). Understanding the Machine Learning Algorithms or NLP concepts. Minimum 2+ years of experience into Core Java, Spring, and Hibernate framework. Candidate should be very strong in Core Java Coding. Looking Immediate Joiner for Performance Testing | 4+ Yrs | Gurgaon Location. This position requires an individual to be creative, a quick learner, self-driven to produce results and demonstrated ability to work in the highly dynamic workplace. Proven abilities in Software testing, evolving test cases, automated script development. Experience in using Karma, Jasmine, Mocha, Automation with Gulp, Selenium and Protractor is much desirable. Adept in designing, building, executing analyzing & reporting functionality and non-functionality tests (performance, scalability, stress with appropriate tools). Exposure storage domain and to various Cloud hyperscalers is much preferred. Develop the Quality framework for the NetApp Cloud Volumes products. Develop and influence test strategies & plans; build the associated ecosystem. Testing highly scalable and secure high-performance applications. Must have Should have IBM WCS (Web Sphere Commerce) design, development and testing experience Experience in following areas. Solid SDLC knowledge and expertise / Agile. Should have experience working in teams. Nice to have Cucumber/Ruby Experience with OMS integrations. We have an Excellent Opportunity for .Net Developers for Tech Mahindra, Hyd. Quick joiners who can join in 15-20 days are preferable. C#, VB, .Net, WCF Services, Rest Services. We have an Excellent opportunity for Selenium Testers at Tech Mahindra, Hyd. Adequate knowledge on Insurance domain. Experience on Requirement gathering, Test Approach, Test Analysis and Documentation of Functional Test Scenarios. Ability to Execute Test Cases and prepare test execution reports and coordinate with the development team for developer testing support. familiar with Test Management Tools like Jira, Confluence (Wiki). Good to have knowledge of Test Automation tools like Selenium or any other Test Automation FrameWork. Candidate should have very strong experience on Core Java, Restful Web services, Spring Boot, DB, UI, Angular2/4/5/6 and Good communication skill. 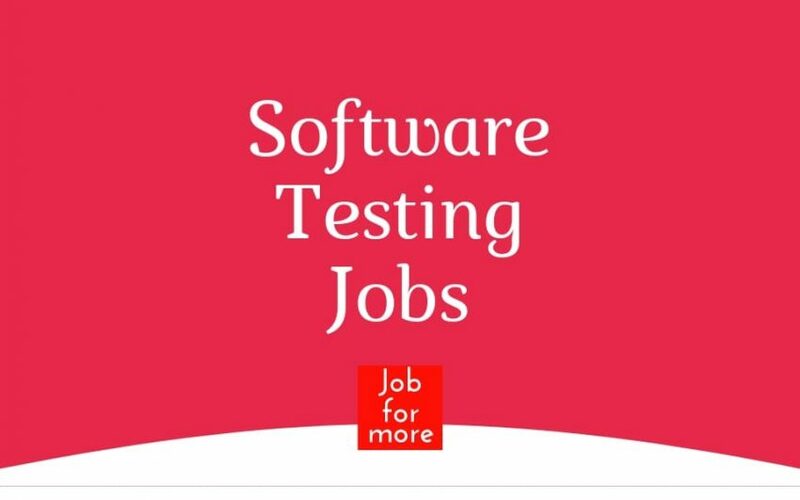 5+ years of professional experience and full-stack enterprise web developer expert in Java/J2EE,Spring-boot,Spring,Webservices,HTML5,CSS3,Angular2,Polymer,Junito Apply principles of SDLC and methodologies like Lean/Agile/XP, CI, Software and Product Security, Scalability, Documentation Practices,refactoring and Testing Techniques including unit testing.o Demonstrates the expert understanding of functional and nonfunctional requirements and their priority within the backlog.